Clearly, this isn’t a post about graffiti but I’ve seen these cool glasses on so many of my intellectual/funky artist/Leftist/Middle-Class-With-Identity-Issues friends and longed for a pair of my own. 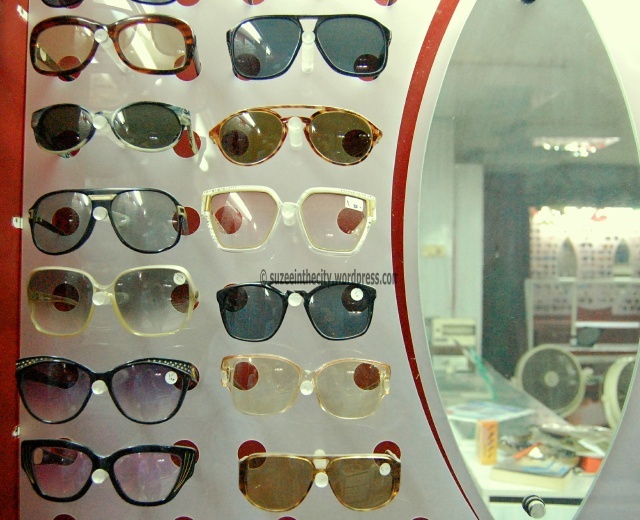 Souria Mustafa is a small and seriously dusty optical shop just before El Horreya Bar in Downtown Cairo. 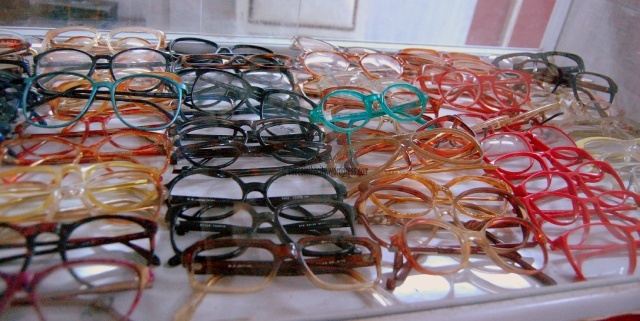 One look at the window display will have any vintage fan breaking out into a deliriously enthusiastic sweat; i found myself scratching my arm like an addict and sticking my cheek to the window to adore the stuck-in-a-different-era frames in tortoise shell, sky blue, electric pink and so on. Madame Souria sits behind the counter, her pillow-cheeked face hidden behind large black frames in grey lenses, her hair tucked into a glittery black turban. Just like her large display of vintage designs, she seems permanently stuck in the 80s. She smiles sweetly, cajoles me into buying two, three, five pairs; I think she can detect the vintage freak in me. 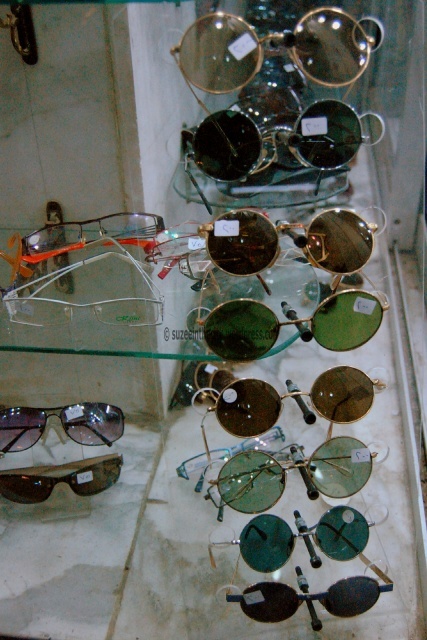 Sunglasses cost between 200LE and 300LE, eye glasses cost around 200LE. 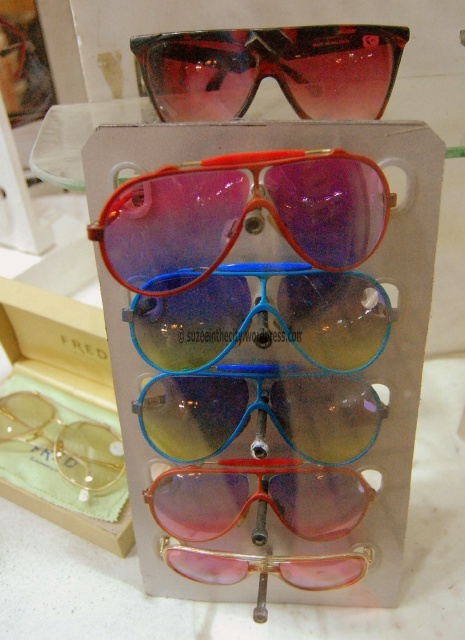 You can pick up a frame without the lenses for 100LE or less. Good luck trying not to buy the whole shop. There are 50s- style cat-shaped frames, John Lennon shades, crazy multicoloured lenses, large imposing frames that would make Mofeed Fawzy cry with joy, 80s round sunglasses that Nabila Ebeid could easily hide her latest plastic surgery fiasco behind ( What Habben?). I could go on. 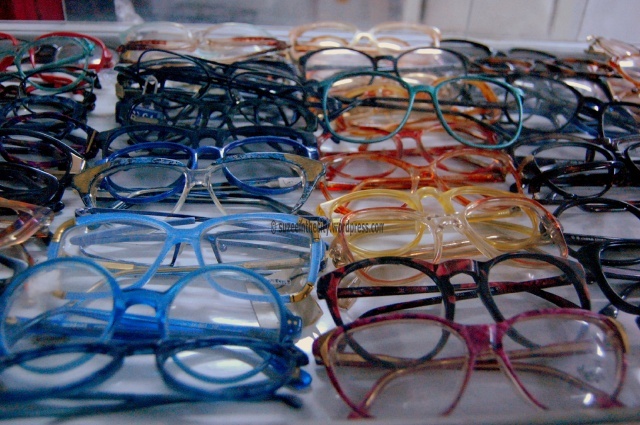 The point is you can buy some really cool vintage frames for a fraction of the price that the optical stores are charging now. Yes, the whole place is covered in a layer of dust (bring wipes if you have issues), but she’ll give you your space and time to browse and try on as many frames as possible. Eventually, she’ll lose patience with indecisive shoppers (ahem), and just shove a pair into your hand. 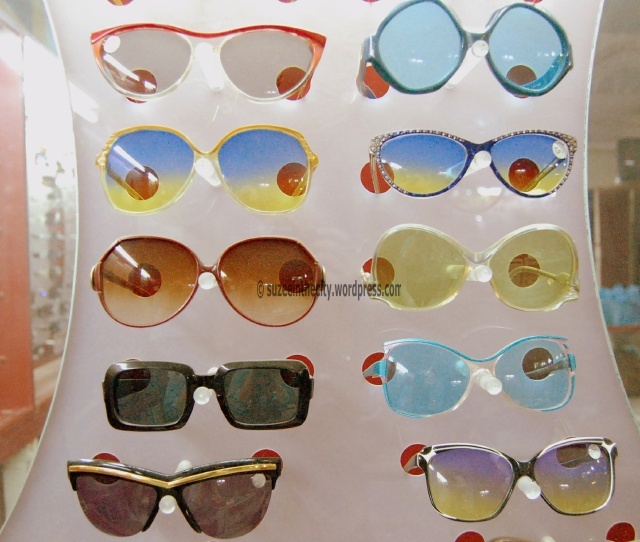 This entry was posted in Cairo and its hidden treasures and tagged 80s, Downtown, Downtown Cairo, eighties, El Horreya, El Horreya Bar, frames, Mofeed Fawzy, Nabila Ebeid, Ray Bans, Raybans, Shopping, subscription glasses, sunglasses, vintage designs, Vintage Glasses. Bookmark the permalink. hallo, could you tell me more about this ladY……?